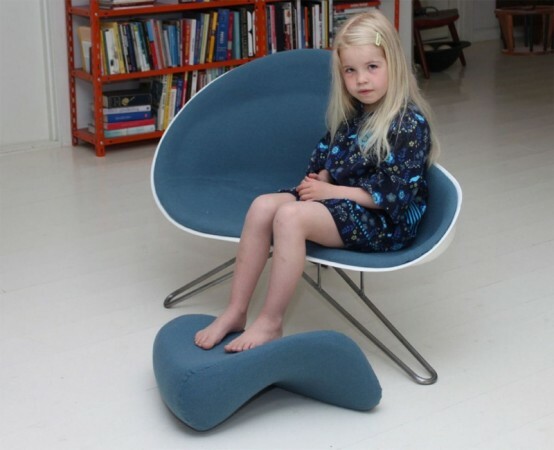 Mussel Chair is designed by Danish designer Hanne Kortegaard for her graduation project from the Danish Design School. 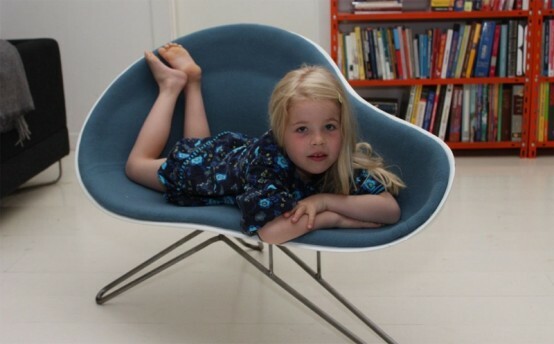 The chair is an awesome piece of furniture for people with children or for those who enjoy furniture with several purposes. 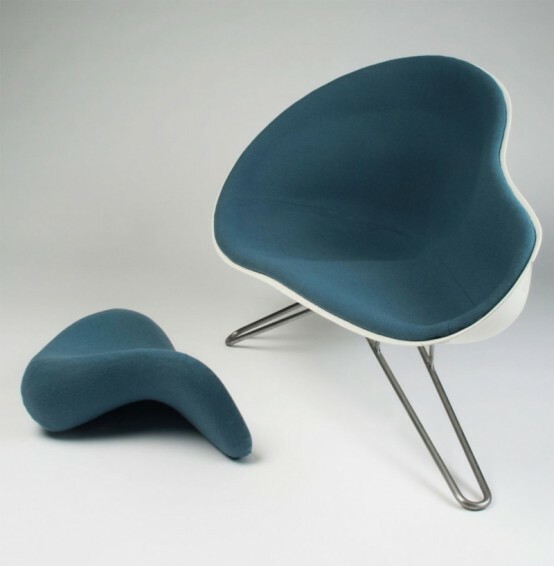 It looks very modern but is very comfortably in the same time. 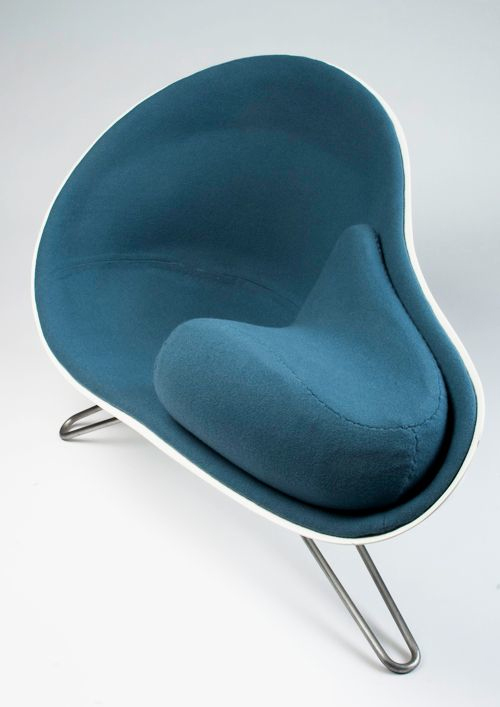 The designer has transfered the concept and form of the mussel into this unusual chair design. 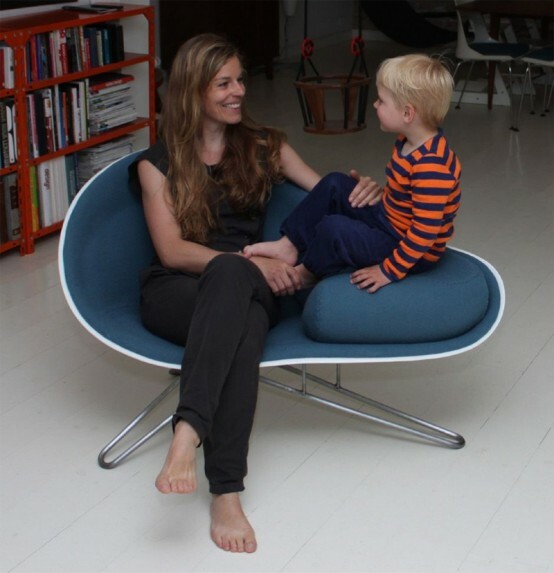 The resulting product serves as a chair for adults and as a sofa for kids. 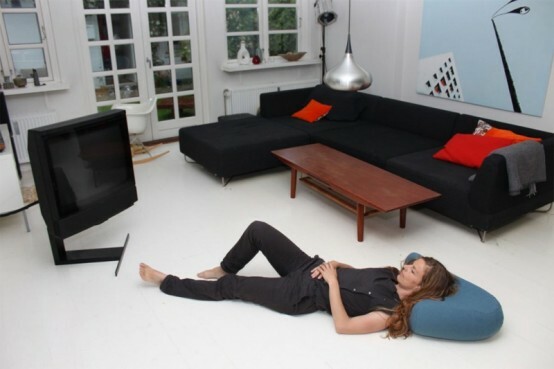 It also features a cool pillow that could be used with it or individually.